$N$ the number of electrons. with this density, the minimized density does not preserved the number of electrons. Do you guys have any suggestion to define a suitable initial guess? 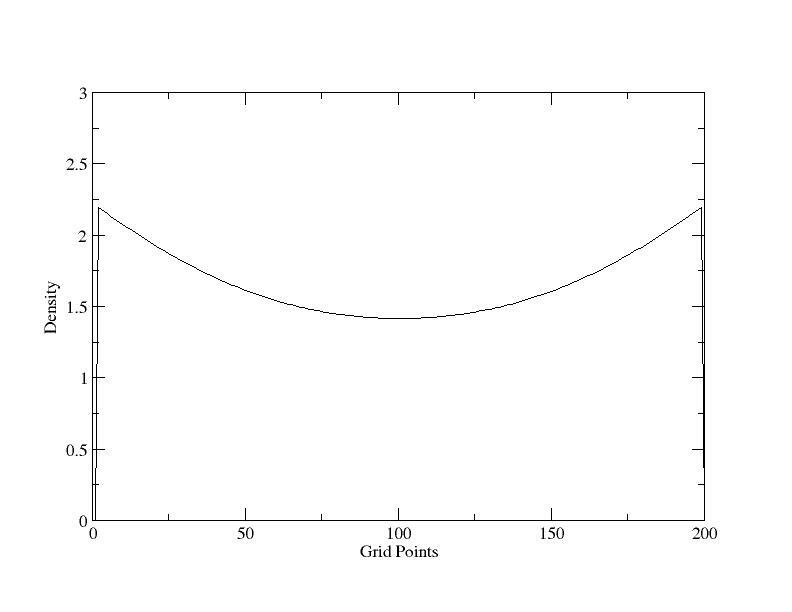 Also I am including a figure where the density at each grid point is plotted. I assumed two electrons and 200 grid points. How to derive the electron density of Hooke's atom?